FROM THE WEBSITE: Place2Be provides emotional and therapeutic services in primary and secondary schools, building children’s resilience through talking, creative work and play. Place2Be provides children’s mental health services in 282 primary and secondary schools, helping them to cope with wide-ranging and often complex social issues including bullying, bereavement, domestic violence, family breakdown, neglect and trauma. Place2Be and the Art Room merged in January 2018. 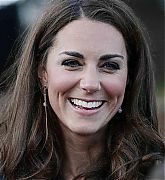 Before that Catherine was patron of the two separate charities (Art Room since January 2012 and Place2Be since April 2013). Past engagements from The Art Room have been added to this list. 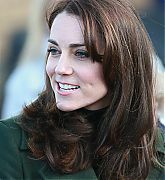 February 21, 2012 – Catherine, Duchess Of Cambridge Visits Schools In Oxford – Catherine Duchess of Cambridge visits Oxford Spires Academy in Oxford, England. 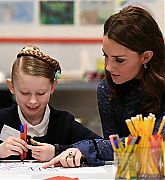 Catherine, Duchess of Cambridge, as patron of charity The Art Room, visited two schools in Oxford in association with the organisation that works with children to increase self-confidence and self-esteem. 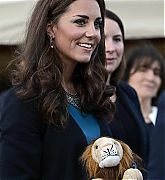 June 15, 2012 – Performance Of ‘The Lion, The Witch & The Wardrobe’ In Kensington Gardens – Catherine, Duchess of Cambridge osts children and young people from The Art Room at a performance of ‘The Lion, The Witch and The Wardrobe’ in Kensington Gardens on June 15, 2012 in London, England. 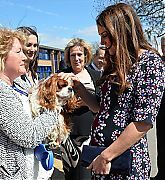 April 22, 2013 – The Duchess Of Cambridge Visits Willows Primary School – Catherine, Duchess of Cambridge makes a visit to The Willows Primary School, Wythenshawe to launch a new school counseling program, M-PACT Plus in Manchester, England. 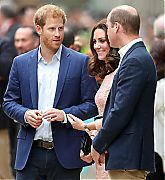 Funded by Comic Relief and The Royal Foundation, the project will see Place2Be and Action on Addiction work in partnership to provide early support for school children affected by a parents drug or alcohol misuse. 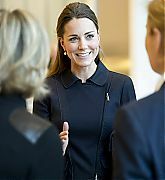 November 20, 2013 – The Duchess Of Cambridge Attends Place2Be Forum – Catherine, Duchess of Cambridge attends a forum for the Charity Place2be at the offices of Clifford Chance in London England to address key challenges facing today’s children, and how we can help them to tackle these and grow up resilient. Topics covered included: cyberbullying; self-harm; special educational needs of children today;preventing addiction; the need for parents to bring up strong, well-adjusted children; and how we can raise aspirations, access and achievement. 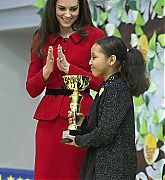 February 14, 2014 – ICAP Art Room Opening At Northolt High School– Catherine, Duchess of Cambridge attended the ICAP Art Room opening at Northolt High Schoolin London, England where she joined children in a workshop. 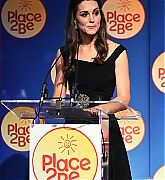 November 19, 2014 – Duchess Of Cambridge Attends The Place2Be Wellbeing Schools Awards Reception – Catherine, Duchess of Cambridge attended the Place2be Wellbeing in Schools Awards Reception at Kensington Palace in London, England. 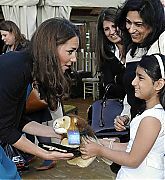 Catherine met with the finalist in each award category at a reception before the awards and also presented an award. She also wrote the foreward for the awards. 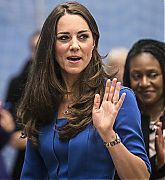 January 15, 2015 – Officially Naming The Clore Art Room At Barlby Primary School – Catherine, Duchess of Cambridge officially opens The Clore Art Room at Barlby Primary School in London, England. 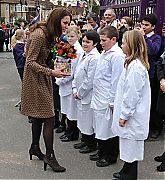 The Duchess of Cambridge was gifted a chair the students made from stamps donated by the Royal Household. 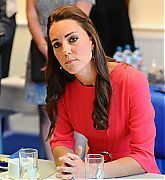 Catherine also met pupils and staff and then joined a round table discussion about the work of The Art Room. October 26, 2015 – BAFTA Charities Forum Event – Prince Willam, Duke of Cambridge, Catherine, Duchess of Cambridge and Prince Harry meet with children and representatives from charities and Aardman Animations, during a meeting of the Charities Forum at BAFTA in London, United Kingdom. Children from Chalkhill Primary School, one of the 257 schools Place2Be works with, attended this event. 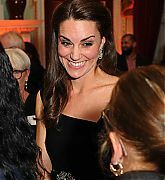 October 27, 2015 – 100 Women in Hedge Funds Gala in aid of the Art Room – Catherine, Duchess of Cambridge attends the 100 Women In Hedge Funds Gala Dinner In Aid Of The Art Room at Victoria and Albert Museum in London, England. 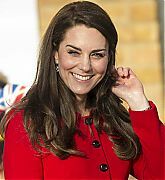 November 18, 2015 – The Duchess Of Cambridge Attends Place2Be Headteacher Conference – Catherine, Duchess of Cambridge gives a speech at the Place2Be Headteacher Conference at Bank of America Merrill Lynch in London, England. 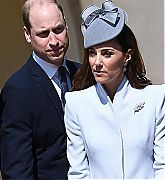 The Duchess was attending as patron of the charity and as part of her ongoing work on the mental health of children. The event brings together senior leaders from Place2Be partner schools in England, Scotland and Wales to increase knowledge and understanding of children and young people’s mental health and share ideas and expertise to help build children’s emotional resilience. 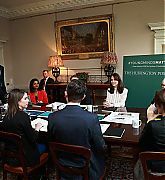 February 17, 2016 – Guest Editing The Huffington Post – Kensington Palace was temporarily turned into a newsroom as The Duchess of Cambridge played guest editorfor The Huffington Post. 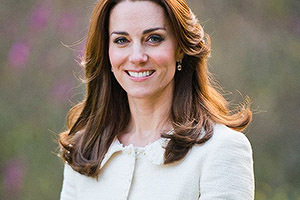 The Duchess of Cambridge, launched an editorial series called #YoungMindsMatter that aimed to encourage conversations with children about mental health. 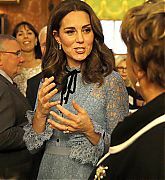 The Duchess discussed articles, blogs and videos shencommissioned from leading figures in the mental health sector, including from Place2Be, to raise awareness about the importance of supporting children’s wellbeing. 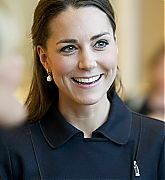 February 24, 2016 – The Duchess Of Cambridge Visits Edinburgh – Catherine, Duchess of Cambridge joins headteachers from schools in Edinburgh for a discussion about the mental health challenges of their school communities during a visit to the Place2Be charity at St. Catherine’s Primary School in Edinburgh, Scotland. 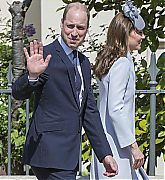 September 16, 2016 – Visiting Stewards Academy With ‘Heads Together’ – Catherine, Duchess of Cambridge and Prince William, Duke of Cambridge went “back to school” at Steward’s Academy in Harlow, England. The Duke and Duchess of Cambridge visited Steward’s Academy as part of their Heads Together campaign, to find out more about the pressures faced by young people when they are going through big changes in their lives, and learn about the support from peers and parents that can help them get through these changes. Stewards Academy is a partner school with Place2Be. 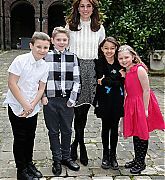 November 22, 2016 – Tea Party In Honour Of ‘Dippy’ The Dinosaur At The Natural History Museum – Catherine, Duchess of Cambridge attends a children’s tea party with pupils from Oakington Manor Primary School in Wembley, at the Natural History Museum to celebrate Dippy the Diplodocus’s time in Hintze Hall in London, United Kingdom. 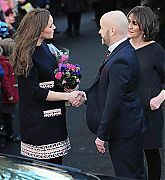 The Duchess painted “dinosaur eggs” and shared cake with the children. The children were brought to the museum by Place2Be. 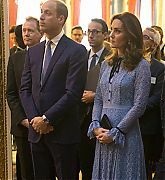 November 22, 2016 – Place2Be Wellbeing In Schools Awards – Catherine, Duchess of Cambridge attends Place2Be Wellbeing in Schools Awards at Mansion House in London, United Kingdom. 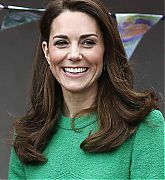 The Duchess of Cambridge, joined students, teachers and school Leaders to celebrate the inspiring ambassadors of positive mental health in Place2Be schools. 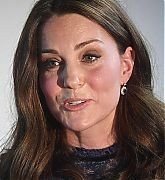 The Duchess also gave remarks at this event. 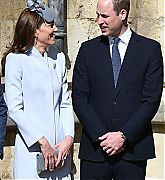 February 06, 2017 – Attending Place2Be Big Assembly With ‘Heads Together’ – Catherine, Duchess of Cambridge and Prince William, The Duke of Cambridge attend the Place2Be Big Assembly with “Heads Together” for Children’s Mental Health Week at Mitchell Brook Primary School in London, England. 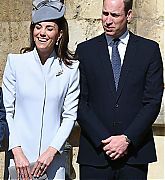 The Duke and Duchess met with staff and students and took part in the Assembly which was led by the students themselves and included role plays about being kind and a performance by the school choir. 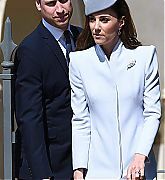 The Duchess also gave a speech. 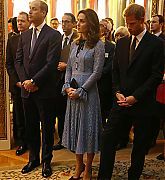 October 10, 2017 – World Mental Health Day Reception At Buckingham Palace – Prince William, Duke of Cambridge and Catherine, Duchess of Cambridge and Prince Harry attend a reception on World Mental Health Day to celebrate the contribution of those working in the mental health sector across the UK at Buckingham Palace in London, England. Head Teachers from Place2Be schools in Lancashire, Cardiff, Leeds and Glasgow joined the other guests and organisations who have made a difference in raising awareness of mental health. 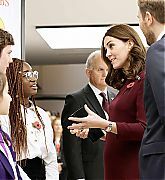 November 08, 2017 – Attending Place2Be School Leaders Forum – Catherine, Duchess of Cambridge attends the annual Place2Be School Leaders Forum in London, England. 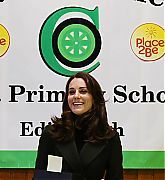 The Duchess of Cambridge joined leaders from schools that work with Place2Be to share ideas about how best to positively affect children’s mental health and provide practical support to children, young people and their families in the school environment. 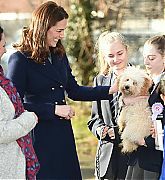 January 10, 2018 – Visiting Reach Academy Feltham With Place2Be – Catherine, Duchess of Cambridge visits the Reach Academy in London, England. Reach Academy is a school working in partnership with Place2Be and other organisations to support children, their families and their whole school community throughout their school career. 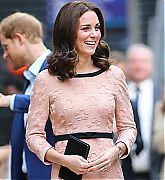 March 07, 2018 – Opening New Place2Be Headquarters – Catherine, The Duchess of Cambridge officially opened the new headquarters of children’s mental health charity Place2Be in London, England. Catherine met staff, counsellors, teachers and school leaders who’ll be use the centre as well as pupils from Albion Primary School who took part in an exercise on ‘friendship’ which is part of the latest training for school-based counselling. 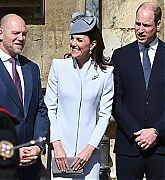 The Duchess also offered a few words praising everyone for their work to support school leaders and parents, and for being at the forefront of efforts to give every child the best start in life. 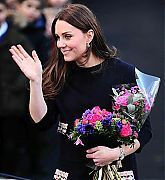 February 05, 2019 – The Duchess of Cambridge Visits London Schools – The Duchess of Cambridge visited Lavender Primary School in support of Children’s Mental Health Week. During her visit, The Duchess met teachers and students taking part in Children’s Mental Health Week activities and sat in on two different lessons focusing on the importance of physical and mental health. 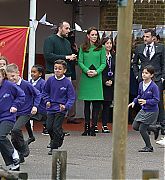 Her Royal Highness also watched pupils taking part in the school’s Daily Mile challenge which teaches children about the importance of being active. 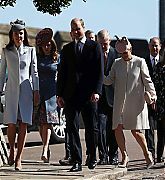 The Duchess then joined a group of parents talking about the challenges of putting in place good routines and habits around sleep, screen-time, healthy eating and exercise.